Royalodds Poker is a tiny Filipino poker room with an expensive game in Omaha and OFC. Its owners are our close partners, a group of players from Manila. 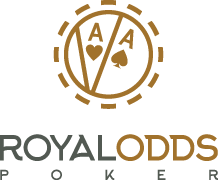 Asian online poker rooms are known with their loose games both in Hold'em and Omaha, and RoyalOdds isn't an exception in this sense. In addition to regular PLO game in the evenings you can find action in Chinese OFC poker. Reviews of the room from our scouts are positive, so Worldpokerdeals is pleased to announce the beginning of cooperation with the room. Games in the room are played in local currency POP. Actual POP in relation to dollar: 50 POP = 1$. In the evening time for the Philippines up to 5-6 PLO tables on limits up to $PL1000 are played. Chinese Poker Pineapple is up to $10 per point. The room works on a software Connective Games - one of the most fastest and reliable modern platforms. Trackers are supported when used converter of hands for Royalodds Poker. Transfers work through an agent cash of our affiliate. To make a deposit, please contact our manager. The withdrawal takes 1-2 days to Skrill, Neteller, EcoPayz. Do you want to start playing at Royalodds? Register your account with WPD code and write to our manager for making a deposit. Our operators work almost around the clock. Withdrawals are carried out without commission within 1-2 days.